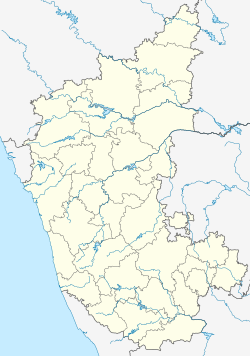 Molakalmuru is a panchayat town in Chitradurga district in the Indian state of Karnataka. It is near the border of Karnataka state with Andhra Pradesh. It borders the Rayadurg Taluk of Ananthpur district of Andhra Pradesh. Molakalmuru has . It is famous for the unique Molkalmuru sarees which are manufactured here. Legend has it that its name means "broken knees" in Kannada after a battle between the native Indians and the British in which due to the rocky and hilly terrain behind the city, the Brits suffered many broken knees in their losing battle. As of the 2011 India census, Molakalmuru had a population of 15,797. Males constitute 50.35% of the population and females 49.65%. Molakalmuru has an average literacy rate of 71.44%, lower than the national average of 74.04%. Male literacy is 77.66%, and female literacy is 65.13%. In Molakalmuru, 11.77% of the population is under 6 years of age. Molakalmuru sarees are the traditional sarees that are woven in the region. Molakalmuru sarees are also called Karnataka Kanchipuram, Recently they have been granted a Geographical Indication tag and its tag number is 53. Ashoka Siddapura is an important archeological site where Emperor Ashoka's edicts were found. Nearby is Ramagiri, a hillock that has mythical associations with the epic Ramayana. A temple dedicated to Rameshwara built in 926 CE. exists here. Brahmagiri village is the ancient site of Ishila, one of emperor Ashoka's provincial capitals. His earliest rock edicts in Brahmi script and Prakrit language (3rd century BC) containing Kannada words were discovered. Rampura village is the ancient site of Ramapura in the Ramayana. Ram had offered prayers to Shiva on a hill called Jatangi Rameshwara, which is located in Devasamudra Village, 3 kilometers from Rampura. Shirekola Village which has the Shree Guru Raghavendra Temple, located near Rampura. Jakkalavadike Village, near Siddapura, is named after old art works in the region. (Jakkalavadike means "house of world art" in Kannada). There are other facets to the village. The Nunkemale Siddeshwara Temple is a famous temple in the region and once in three years, a jaathre is held in the town. Another jaathre is held every year on the Nunkemalle hill for three days and people from the surrounding villages throng the fair. The Sri Rama Temple is another famous temple in this region. Every year, the Ramnavami festival is celebrated here with great pomp and splendour. It also has a large reservoir and a huge rock which is popularly known as kugo bande or the rock that screams. Here, tourists can hear echoes of their voices. The sithaphala fruits (custard apples) that grow in these hillocks are immensely delicious. ^ "Census of India Website : Office of the Registrar General & Census Commissioner, India". www.censusindia.gov.in. Retrieved 25 April 2017. This page was last edited on 22 December 2018, at 02:55 (UTC).